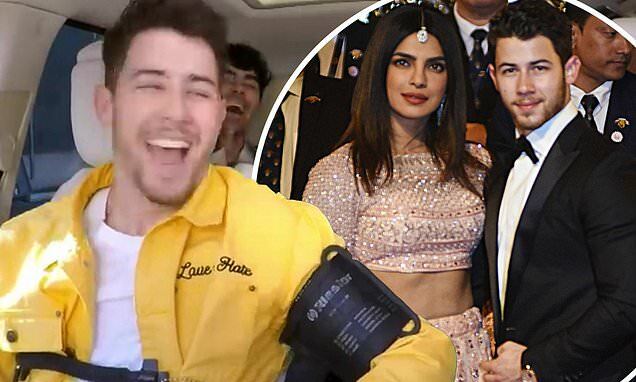 Nick Jonas made a hilariously candid admission about his multiple weddings to actress Priyanka Chopra during the Carpool Karaoke segment that aired Thursday on The Late Late Show on CBS. Nick and Priyanka married in December with two weddings that lead to parties, receptions and ceremonies in her native India and the US. All up, the nuptials cost the couple more than $800,000, according to E!News. During the popular segment, host Corden, 40, after picking up Joe, Kevin and Nick on his ride to work, turned up the tunes and they all sang Burning Up together. James then asked about their reunion after splitting in 2013 and Nick, 26, said they got back together after filming an upcoming Amazon Studios documentary. 'It was to tell our story… and in that process, we did some very necessary healing because when things ended, it wasn't the best. It was forced healing on camera,' Nick explained.